except in mine I was at a garden party where one of the guests suddenly floated up into the air and was shot. everyone panicked except me and Ms. Marple who soon realised that the dead man was the Mekon. We investigated and discovered that the killer was a Treen named Lurpak. it wasn't as deep or as profound as MLK's but at least now the Mekon won't be terrorising the 1950s of the future & Mars is free of his tyranny but I bet Dan Dare is spitting feathers at not being there at the end. Ms. Marple for the win. About a year ago I was honoured to release a frankly beautiful album of Eric Satie pieces as interpreted by Susan Matthews. I'd been listening to her music (via Wonderful Wooden Reasons) or some time and when at the beginning of 2012 I decided to reboot Quiet World and start featuring a wider variety of people she was one of the first people I asked. Even though she only lived a half hours journey away we had never met and indeed only did so when she moved slightly further away. We now meet up semi-regularly for delicious food and chat at a nice little vegetarian cafe in Carmarthen. 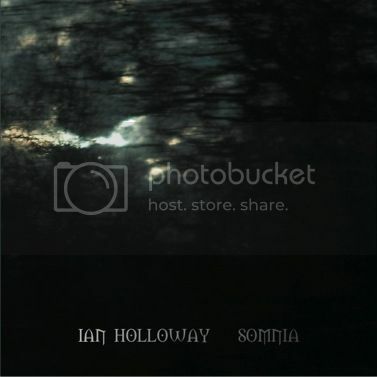 Well, this week she has very kindly released one of my releases - Somnia - on her own Siren Wire label. It's a deep and dark soundscape piece that is an evocation of sleep and dream. As a borderline insomniac I have a love / hate relationship with sleep. I find it frustrating as it's often slightly out of reach and so when I finally hit a point where sleep is easily attainable I sleep too deeply for the dreams to surface with me leaving them as vague and indistinct sensations that can then colour the rest of day. Somnia is an interpretation of this; the flashes of emotion, the spasms of recollection, the glimpses of essence and the phantasms of memory. i'd like to try it soon. The UK is melting / basking (depending on your perspective) in a heat wave at the moment so I thought it was time to share some of the sultrier sounds from my record collection. So, for your delectation, here is a selection of European library and soundtrack pieces. as is usually the case I find myself almost completely unable to slow down now that I'm on holiday. I'm 4 days in and I've posted a new issue of the zine, done two new Quietude mixes and booked a gig (more on which in another post on another day). I'm awful at relaxing. anyway, here's the new mix. it's one that expresses a personal passion and one I've been wanting to do for a while now. hope you enjoy. It's Monday afternoon, it's really bloody hot and my hay fever hasn't kicked in for which I am extremely grateful. yesterday was an absolute dog of a day filled with sneezing, sniffling and general bleurgh. I'm new to all this hay fever palaver as I never had it before about two years ago. I'm not a fan. there's a Mixcloud also which I'll put here for those of you who don't want the words. It's the first Saturday of my holiday and I'm starting to relax but am still pretty twitchy from the comedown from the unrelenting furore of the end of the academic year. to try and meld my restlessness with the more relaxed me that I'm trying to head towards I spent the morning making a new Quietude mix. It's been a while since i did one of these and it was a bit of fun. those of you with eagle ears may notice a snippet of an, as yet, unreleased track from me at the end.